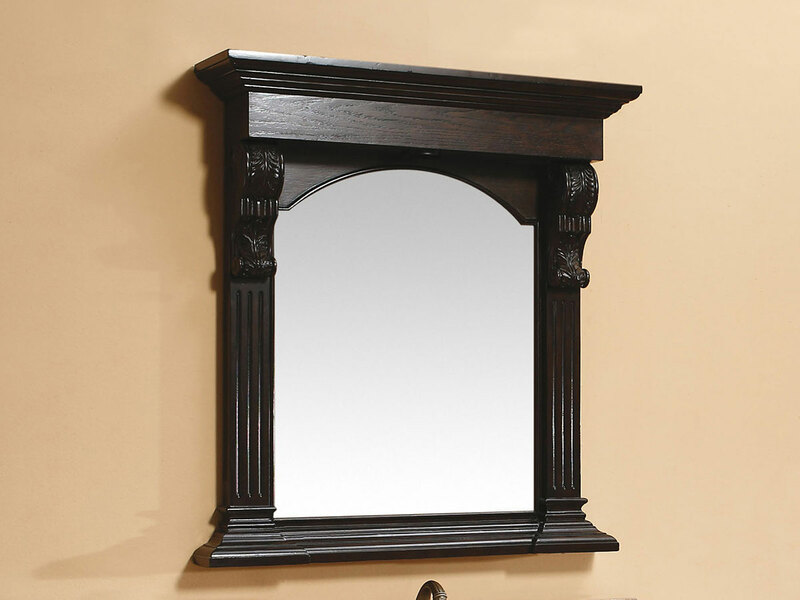 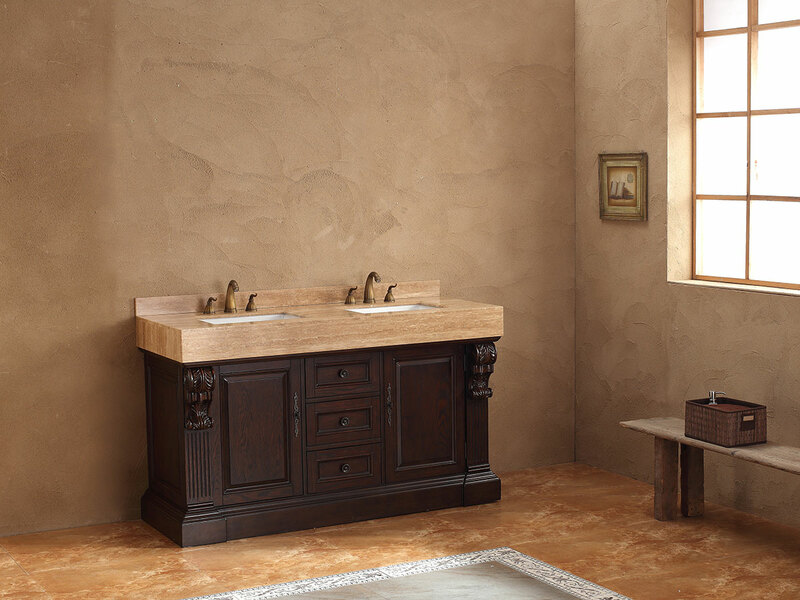 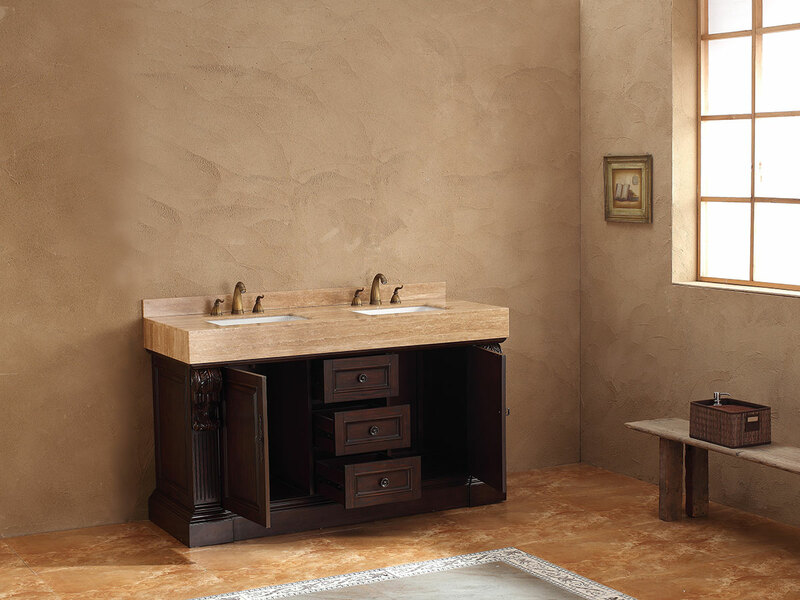 The 60" Irongrange Double Sink Vanity is a solid choice for the traditional bathroom with a rustic twist. 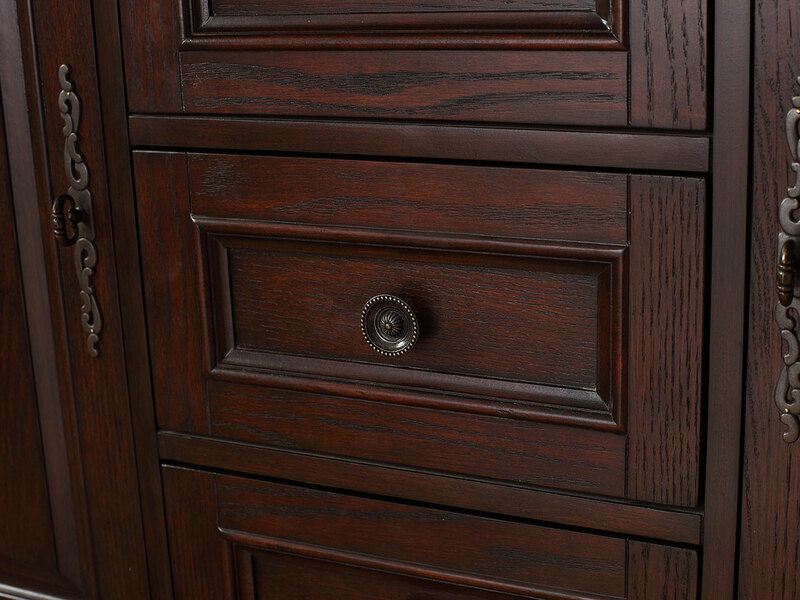 The dark birch wood grain shows through the finish on the cabinet, providing a more natural look. 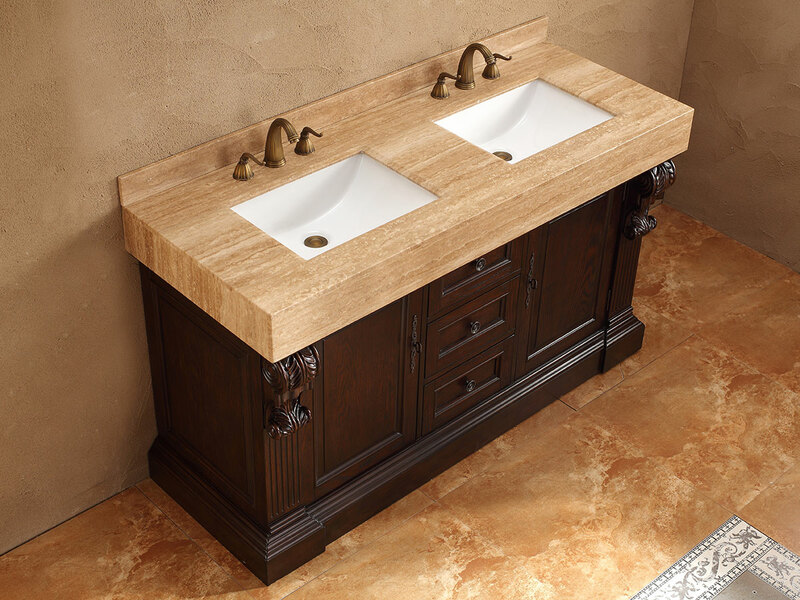 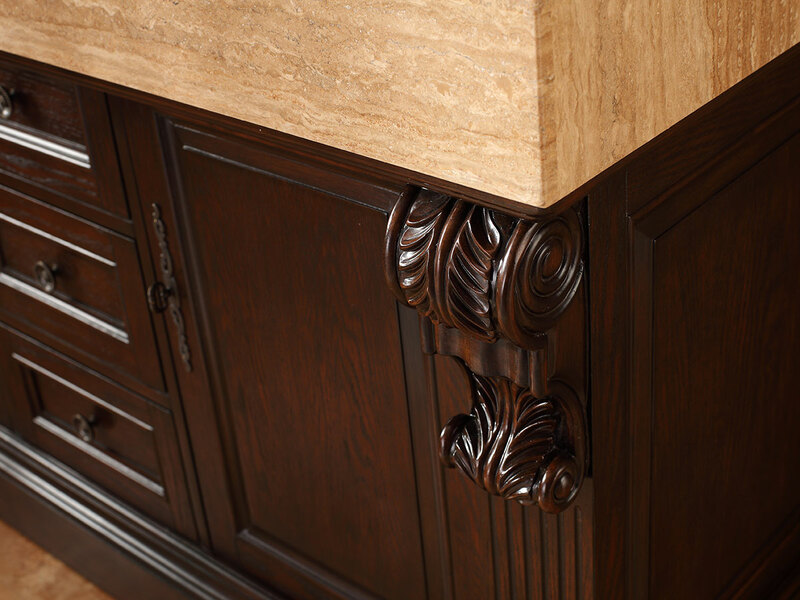 Meanwhile, intricate carvings and handles give this vanity an old-world charm and the travertine top adds a luxurious finishing touch. 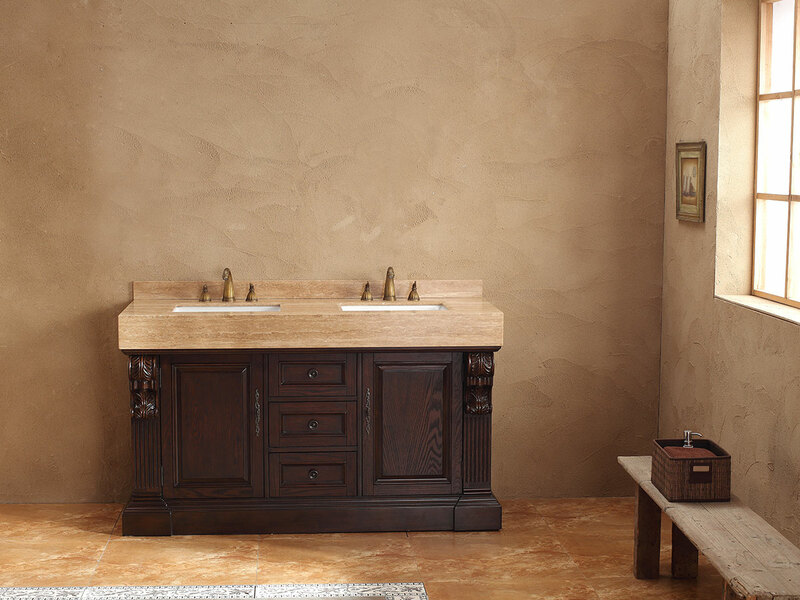 Three fully functioning drawers and two cabinet doors add function to the traditional style, ensuring all your bathroom necessities can be accommodated.